Chief executive of LG Chem said that the South Korean company was considering building an electric vehicle battery plant in China, expecting Beijing's efforts to tackle air pollution to drive demand. Park Jin-soo also said LG Chem, which currently supplies electric-car batteries for General Motors Co's Volt and Renault cars, will double the number of its customers to 20 in the near future. "We are considering it (the China car battery plant), which should be in line with market demand," Park said at a press briefing on Friday embargoed until Sunday morning. 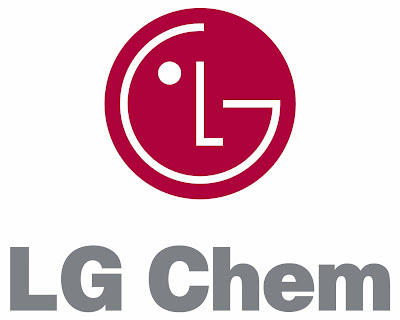 LG Chem currently has a factory in Nanjing, China producing small batteries for smartphones and other mobile devices, and Park said the firm is looking at not only Nanjing and other sites for the potential car battery factory. China's Finance Ministry said last month it will extend a programme of subsidies for buyers of electric-powered vehicles after the current subsidy regime, part of efforts to combat pollution in cities, expires in 2015. The subsidies were designed to help China meet a goal of putting half a million new-energy vehicles, defined as all-electric battery vehicles and heavily electrified "near all-electric" plug-in hybrids, on the road by 2015 and 5 million by 2020. LG Chem's crosstown rival, Samsung SDI, said in January that it will form a joint venture in China to spend $600 million on building a car battery plant in Xi'an, Shaanxi province, by next year and on other electric car battery-related businesses over the next five years. So Tesla's Gigafactory has some rivals.